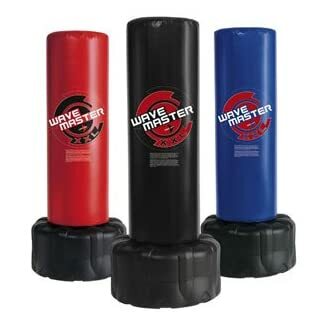 Train with enduring sports brand RDX Zero Impact G-Core twinned layer non tear Maya Hide Leather Technology Punch bag. 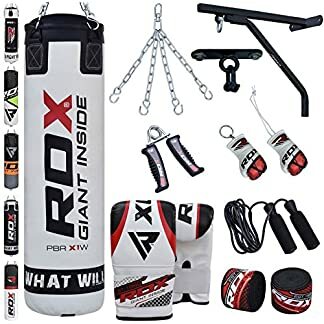 The RDX Heavy Punch Bag Kit includes everything you need to practice your technique, test your stamina, and increase your power and strength. 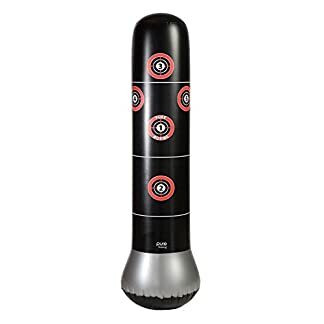 The 25-28kg(5ft) approx bag delivers an ideal amount of sway and resistance. Authentic RDX Heavy duty textile filled Punch bag with double stitch durability designed specifically to withstand toughest training. Twinned layer offers maximized force dispersion, making the RDX heavy bag a quality choice for Gym or Home use. Filled with shredded textiles that give amazing shock absorption, protecting wrists and hands while returning to its original shape quickly. Double layered for durability with a shredded textile filling for extended use. Heavy gauge welded D rings which are double stitched and riveted to the bag for extra sturdiness. Additionally a heavy duty zip-fastened top closure ensures maximum fill potential. Can be made heavier by adding denser filling, Zip top design enables you to customise the further filling. Its water proof bag can be used outside. 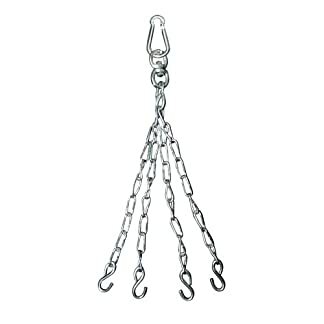 The tethered loop facility at the base of the punch bag ensures maximum swing reduction when used with tethered straps.